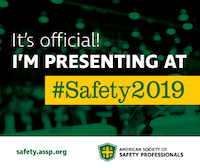 This year’s conference will make history as the American Association of Safety Engineers (ASSE) #ASSE becomes the American Association of Safety Professionals (ASSP) #ASSP. Why the change? ASSP recognizes the growth of the role of Safety Professionals has moved far beyond the world of engineering and into functions and programs that do not require the person to be an engineer, yet at the same time insisting that the function be led by competent Professionals. Are you struggling to recruit qualified Environmental, Health and Safety (EHS / HSE) professionals? Consentium Search is a Retained and Contingency Search and Recruiting Firm specializing in sourcing professionals in Environmental, Health and Safety at all levels of the organization from entry-level to corporate/global leadership roles. Through our relationships with over 50,000 EHS professionals nationwide, we source the right people for your talent pipeline based upon your technical and cultural requirements. Consentium Search will be at the 2016 National Safety Council Congress and Expo in Anaheim, CA. Will you? Consentium Search will be at the 2016 National Safety Council Congress and Expo in Anaheim, CA. This 75-minute interactive presentation will guide you through the process of planning to move beyond the role of an OSH Leader to becoming a “Safety Business Leader” – and the requisite Business, Leadership, Communication Skills needed to get there.